Today InnoGames announced the mobile launch of its successful fantasy strategy game Elvenar. From now on, players all over the world can download the app in the Google Play Store and App Store. The Elvenar app features full cross-platform functionality: Elvenar fans can use their already existing accounts, switch back and forth between devices or create an entirely new account. 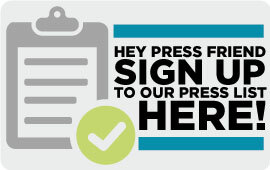 In addition, InnoGames gives fans the chance to win an iPad Air 2 & a Samsung Galaxy Tab S2 in a special social media competition! InnoGames kicks-off the Halloween chills with the release of the October Episode for InnoGames TV today. The approximately 6-minute-long video features an introduction to its newest game Warlords of Aternum and Halloween inspired events for both Elvenar and Forge of Empires. Today, InnoGames announced the relaunch of its mobile strategy game Warlords under the new name Warlords of Aternum. The update comes with a series of new features, additional content and new balancing. From now on the new version is available in the Google Play Store and App Store. Already existing accounts don’t lose any game progression with the release of the update. InnoGames acquired Warlords from Berlin-based studio Wooga in February this year. Today, InnoGames released the August Episode of InnoGames TV. The approximately 5-minute long video features the new Historical Event in Forge of Empires, the latest update in Elvenar and the new Tribal Wars event called “Rune Wars”. 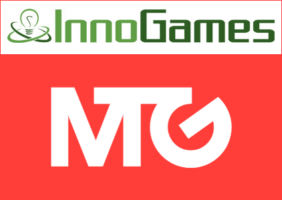 MTG has increased its ownership in InnoGames, the developer of browser and mobile games, to 51%. MTG announced its initial 21% investment in Hamburg-based InnoGames in October 2016. InnoGames is the creator of six successful online games including Forge of Empires, Tribal Wars and Elvenar. MTG has invested EUR 82.6 million for the additional shares, based on the same enterprise value of EUR 260 million for 100% of the business as for the original investment. MTG will fully consolidate InnoGames with effect from May 1. Wooga and InnoGames are pleased to announce the sale and transfer of mobile strategy title Warlords from Wooga to the Hamburg-based online games provider, InnoGames. Going forward, a team at InnoGames will continue development and enrich the game with their strong knowledge of the strategy genre. No employees will change company as part of the agreement.